Over the past fifteen or twenty years as the veil has thinned, people have become more aware of the existence of their past lives and are very curious, wanting to find answers regarding their life purpose and relationships with other people. Here are six virtues which are prominent in regression work. The aim of regression work is to assist you in achieving wholeness. There is therapeutic nurturing of all aspects of life to effect or to maintain an integrated whole. Although each part of the body---and the brain---seems to have a separate function, all parts are coordinated by the central nervous system. Since one part can be affected by another, we are beginning to realize that, for wholeness, all areas of life need to be addressed and united in a meaningful way. All parts contribute to the highest welfare. Regression work goes beyond the addressing of the physical and mental symptoms; it goes into the heart of deeper reality. 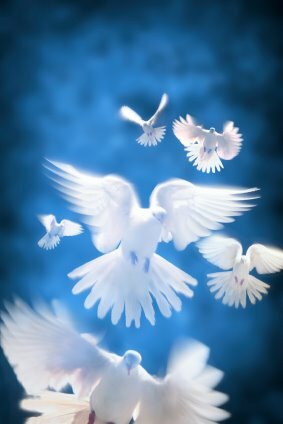 Not only is it a key to accessing the amazing capacity of the integrated body-mind-spirit to heal wounds and to maintain the ongoing process of healing, it accesses the soul's journey. The term holistic indicates wholeness or unity. All parts of the individual are meant to be integrated and to function as a unit. 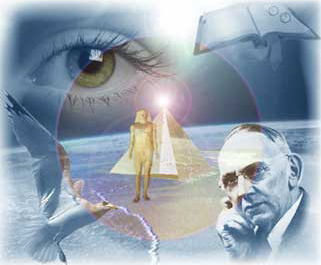 The Holistic Movement started about a century ago with the mystical and psychic work of Edgar Cayce who used a self-induced, altered state of consciousness for the purpose of helping people with various problems. Cayce is recognized as the Father of the Holistic Movement which aims to unite body, mind, and spirit for healing, harmony, and happiness. Nowadays, the regression therapist guides the client in entering an altered state of conscious for the purpose of going to the root of the issue, going beyond the physical or mental manifestation to identify the cause in the emotional attitude or the spiritual belief system. From there, all parts are integrated and, through forgiveness, alienated fragments and unconscious expectations based upon past lives are purged and restored to wholeness. Taking a leading role in holistic healing, regression work provides guidance and procedures for the optimal interrelating of conscious goals with unconscious ideals in the creating of improved quality of life and spiritual growth. The goal is an emotional wellness which can lead to physical health, mental well-being, emotional fulfillment, and spiritual advancement. The essence of each individual is wholeness. Separation into parts, is separation from the Source of life. In regression work, the person is guided to wholeness and connection to Source. That which appears to be separation is actually another expression of oneness but, until viewed from a higher perspective, it seems to be fragmented into dualism (opposites) and other multiple parts. Trying to analyze a whole unit by analyzing only one factor is similar to the story of the blind men and the elephant; each has a different perspective. In examining a part, the effect of a hologram is applied. The connection to the whole must be recognized. The part has no life unless it can be viewed as an aspect of the whole person. Each person can have many qualities, many energy outlets, and many perspectives on the universe. Energy is maintained at the center of transformation. Regression work is one hundred percent natural and one hundred percent safe. Coming from your inner self, it is as natural as sleep. The inner- work part of the regression session is like a dream; at the end of the trance (experiencing) part of the session, the processing is similar to that of dream work. As a result of observing patterns and symbols, you become aware of possibilities for living a better life and ready to explore ways of making significant changes. The procedure in regression work is natural and is safe because, in most cases, you are aware of everything happening around you. Your body feels relaxed and your mind is alert. All of the senses are alert. The unconscious mind, for the most part, tends to respond to words and images which evoke feelings and emotions. Through such feelings and emotions, I will set an atmosphere for you to make a connection with the goal of the session. Regression work is a way of providing emotional nourishment for the mind. It is safe because it is done by your Self in a methodical manner. The side-effects are blessings. Regression work uses a positive approach for positive results. It has evolved from a history of reaction, which involved fixing a problem, to action, where you are assisted in creating a more productive life and greater spiritual growth. The difference between reaction and action is powerful and subtle. Reaction will always fail because there are so many things which demand responses, e.g., the many areas of symptom alleviation in which the fixing of one symptom often allows another to surface until the cause of the problem is viewed from a higher perspective and neutralized. Positive views lead to action. Negativity lives in denial and lack of action. Usually, a client arrives with a concern regarding a specific area of life and the problem/symptom must be addressed. In the session, the therapist tends to guide the client by using positive, uplifting terms to counteract the client's negativity. The positive approach involves helping the client to reframe or to rephrase the issue by viewing it from a larger perspective of life and in a positive manner for the purpose of healing the concern. Temporary, personal, secondary gain is noted; catharsis is reviewed; and the overall spiritual lessons are presented for learning. Cayce reading 1163-2 states, "Always constructive, never destructive." In the regression session, after the past-life is reviewed and you identify patterns of behavior, insights, and lessons to be learned, I'll usually give you some positive suggestions or affirmations which you will prepare with me during our consultation. Suggestions which come from the client to the client indicate that you are willing to work for self-improvement. Formulated with tender care, positive affirmations are delivered with calmness to be imaged distinctly for positive results. Regression therapists honor and respect creative imagination as a building block of reality. It is an inner adventure which opens a door to the deeper mind where reality (the Platonic concept) exists. 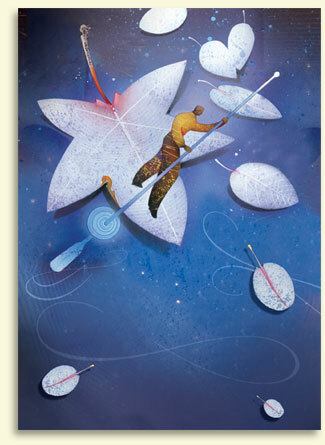 In past-life work, the client sometimes uses creative imagination to get the process started. story is an actual past life or a parable which provides insight and understanding into the resolution of current life issues, it has validity because it comes from the client's deeper realms. change reality. Cayce reading 281-39 states, "For thoughts are things and the mind is the builder." aggrandizement, a warning is issued. The mind can create reality. The designer of reality is creative imagination. All of the creative resources of the universe are to be found within the individual and regression work provides access to that realm of creative, spiritual insights . Creative imagination is a pathway from the possible to the tangible. Regression sessions are always memorable and the work is a doorway to deeply-stored memory banks. Regression provides a method for exploring inner space in the mind and in the uncharted sanctuary of the deeper self. The distant past---through the eons of time---is recalled, bringing to remembrance information and emotions which are stored in the unconscious mind. The regressionist simply assists the client in drawing out that which already exists. Through regression sessions, people are able to fit together the pieces of a puzzle past. When a past problem, with its ingrained patterns, enters conscious awareness, it can be encountered honestly and then neutralized. When the pattern is changed, the problem is resolved. Using modem regression techniques, the client is able to search for convincing answers to mystifying questions. The search, with appropriate preparation, can reward the seeker with higher-level understanding and insight. It is a magnificent work of dignified responsibility requiring total integrity for mending hearts and minds and for the healing of ancient wounds. Regression work is common to all people, of all ages, of all cultures, and of all nations. 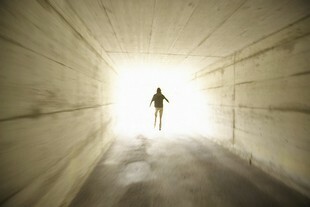 Many children, all over the world, have spontaneous past-life regressions. In sessions, the narrow and sharp focus of attention has wide applications in physical, mental, and spiritual expressions. Cayce reading 349-4 states, For the spirit is life; mind is the builder; the physical is the result. Spiritual (Life): accessing higher consciousness, creating a new vision of existence, developing spiritual ideals, and understanding meaning and purpose in life. Mental (Builder): accessing unconscious memories, developing new perspectives through the analysis of patterns, developing self-discipline. Physical (Result): discovering unrecognized skills, healing physical infirmities as a result of cleansing at the root of the problem, transforming undesirable behavior. Regression work opens a door to the higher spiritual realms. The wider, universal potential is achieved through connection with the inner essence of life, the life energy . Regression work has shown impressive value in raising human consciousness from the level of desired knowledge of the existence of past lives to the higher-level epistemology of gaining wisdom. The client who learns how to use the safe and natural, positive, holistic, regression work in a creative manner to confront memories and unconscious expectations, soon recognizes its universal application. When the door to the spiritual area---the highest ideal---is open, there is universal application of regression work.